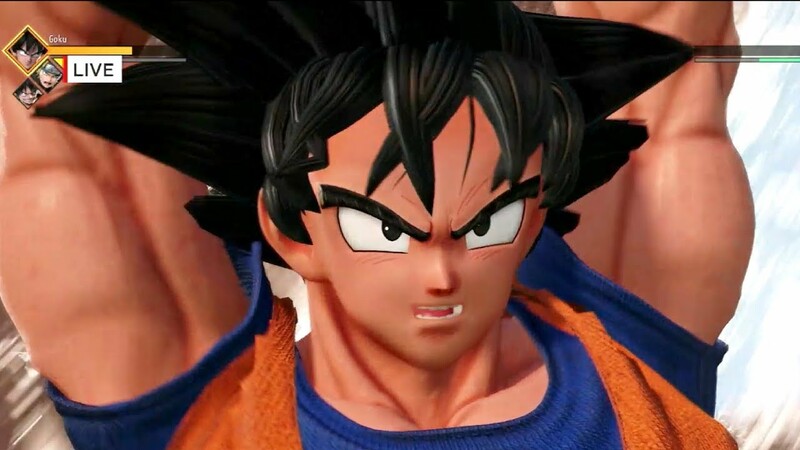 - <strong><a href="https://www.youtube.com/watch?v=AUVo8L4NgZg" target="_blank">Jump Force Gameplay Demo - IGN Live E3 2018</a></strong> <br/> <br/><img src="https://i.ytimg.com/vi/AUVo8L4NgZg/maxresdefault.jpg" width="95%"> <br/> <br/>Shonen Jump fighting game in time for big anniversary. Dragon Ball, One Piece, Naruto. <br/>Some nice differentiation from Dragon Ball FighterZ. Should be interesting to see how it unfolds! Shonen Jump fighting game in time for big anniversary. Dragon Ball, One Piece, Naruto. Some nice differentiation from Dragon Ball FighterZ. Should be interesting to see how it unfolds! I want to see how Ryuk would play in this game because as far as I'm concerned he's who I'd pick to play as. I was hoping this would be a 2.5 fighter but you can't win them all. Hoping to see more as it comes along in the future. Additionally, Bandai Namco PR manager Nick O’Leary also confirmed as much in a separate interview with ComicBook.com. He stated that Light Yagami wasn’t exactly an action oriented character, while there would be certain limitations if they added Ryuk. Well my excitement kinda dwindled after seeing that lol. This is a game that I expect both in terms of image and quality. Wonderful.